Collaborating Investigators have access to more than 200 000 small molecules for biological screening purposes through the SciLifeLab Compound Collection. The collection is based on donations of high-quality sets from the pharmaceutical industry (Biovitrum, Karobio, Orexo/Biolipox, KDev) and has been developed and expanded with compounds from various commercial compound vendors. The collection is suitable for a variety of bioassays, spanning from isolated targets, via phenotypic cell-based assays to test system based on whole organisms, such as parasites, zebrafish or plants. The collection is organized into representative Screening Sets, spanning from chemically diverse sets to approved drugs (Prestwick) and pharmacological tool compounds (from Astra Zeneca, the Structural Genomics Center (SGC) and vendors such as ENZO, Tocris, and SelleckChem). Follow-up material is available for further validation and down-stream profiling of primary hits during screening. Various focused sets are also available such as kinase-, GPCRs- and PPI-targeted compounds. The Primary Screening Set comprises~35K compounds that are chemically diverse and have lead- to drug-like properties with respect to parameters such as molecular weight, hydrogen bond acceptors and donors, lipophilicity and polar surface area. Filters addressing reactivity, PAINs and aggregation issues have been applied to assure tractable hit compounds. 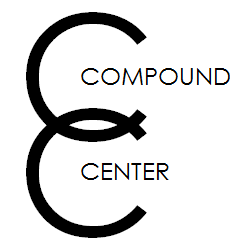 The SciLifeLab Compound Collection is available through Compound Center. For more details, please click here.